Odell Byrley was born on April 20, 1923. He was the son of Jessee R. Byrley and Nora Nell Byrley. Odell grew up on a farm with with his large family in Corbin , Kentucky. 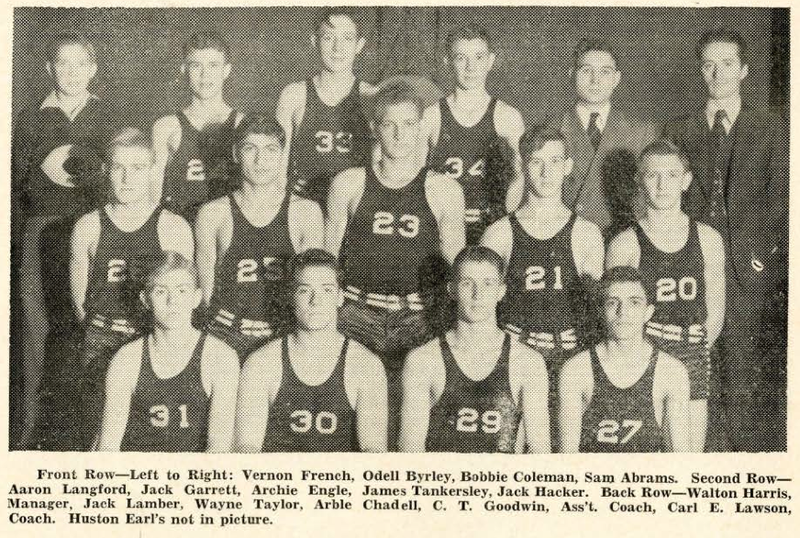 Odell attended the Corbin Independent school system and graduated with the class of 1940. While at Corbin High School, he was a football star. 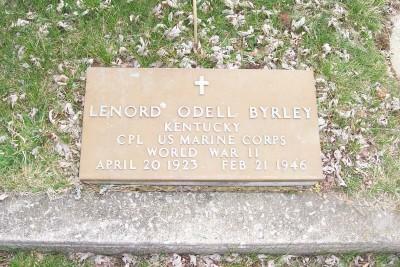 Odell gave up a football scholarship at the University of Kentucky to enlist in the Marine Corps during World War II. He achieved the rank of Corporal. His death date is listed as February 21, 1946. Years later, Odell was inducted into the Corbin High School Hall of Fame in 1984.